Crack Smoking Mayor Rob Ford Withdraws from Race … His Brother Doug Ford Replaces Him, HUH? 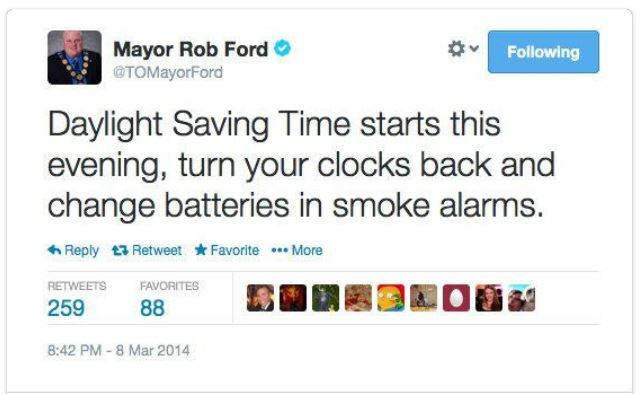 OH CANADA … WHAT OTHER WAY WOULD YOU EXPECT A CRACK SMOKING MAYOR TO END HIS REELECTION CAMPAIGN? 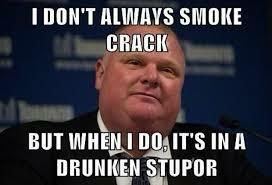 Rob Ford, the crack smoking, foul mouthed Mayor of Toronto has decided to withdraw from the mayor’s race. Comedians and late night show hosts were said to be in tears today. The move by Rob Ford and his brother Doug to rplace him is not nuts, its called “crack”. Mayor ends his re-election bid but his brother, Councillor Doug Ford, has replaced him in a move that turns the campaign on its head. The unprecedented Rob Ford (Open Rob Ford’s policard) era ended Friday as dramatically as it unfolded: Ford, the mayor whose scandals roiled city hall and captured global attention, withdrew from the mayoral election because of his abdominal tumour — and asked Toronto to vote for his brother, Councillor Doug Ford (Open Doug Ford’s policard), who scrambled to register as a candidate just minutes before the deadline. Guess who is back and completely off the wagon and back on the sauce? Yes, you guessed it, Toronto Mayor Rob Ford. Wow, this guy is a media and late night comedy show’s dream. Rob Ford was recorded on video at a fast food steak restaurant slurring his words, dropping the “F” bomb sound like a Rastafarian speaking in Jamaican patois and using Jamaican expletives. Jamaican? Has anyone seen this pasty white dude? He is the last person I would get confused with a Rasta. The late night antics of Ford at the Steak Queen in Rexdale is proof positive that some one has been drinking again. After the video went public, Rob Ford admitted that he had been drinking. No word as to whether he was back on the crack. Ford was quick to say that he was not drinking and driving. Nope, just drinking and playing the fool. 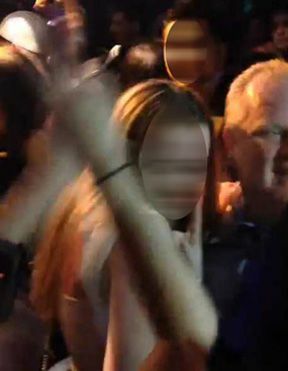 Mayor Rob Ford was off the wagon at an Etobicoke steak joint this week, impaired and rambling, associating with accused video extortionist Alexander “Sandro” Lisi and hurling profane, expletive-laden insults at Toronto Police Chief Bill Blair. Ford also says “c—sucker” before ranting about Chief Blair, then follows up with Jamaican expletives. According to the CBC News, Rob Ford, the crack smoking, often inebriated, sometimes threatening Mayor of Toronto is filing his papers to register for reelection to his current office. Toronto voters do not go to the ballot box for another 10 months, which means 10 more months of bizarre antics from Ford. Although he would be hard pressed to be more bizarre than his antics in 2013 where he admitted to smoking crack, admitted to be often in drunken stupors, ran over female politicians, went on a “F” bomb laced rant as to how he would harm individuals and then the, well, um, the comments to the press that he gets enough pu**y at home. Let the games, or should we say circus begin. You know this is going to be one of the most followed campaigns in the US. Political Reelection Campaign Slogan: Put That in your Crack Pipe & Smoke It!!! Just how will his politcal ads end … I’m Rob Ford and I approve smoked this ad? Rob Ford’s chief of staff says the Toronto mayor, who is coming off a year of one controversy after another, will file papers today registering him as a candidate in October’s municipal election. Jan. 2 is the first day candidates can file nomination papers with the city clerk’s office for the Oct. 27 vote. If Ford files his papers Thursday as expected, he will be the first to officially register. So far, only Coun. Karen Stintz and former budget chief David Soknacki have said they will run. Who knows how Rob Ford will do, he actually has better polling numbers than Barack Obama. Rob Ford says his record speaks for itself. It certainly does, eh. UPDATE I: It’s Official … Rob Ford Registers to Run for Mayor … claims he is best Toronto mayor ‘ever’ !!! Rob Ford wants to frame the mayoral election as a referendum on his fiscal management. And he doesn’t want to talk about his conduct. As he had promised, Ford was the first candidate to register for the 2014 race. Immediately after he filed his nomination papers at city hall Thursday morning, he revealed his early communications strategy: a relentless focus on money matters, a refusal to address questions about his behaviour while in office. “I’ve got the strongest track record. I’ve been the best mayor that this city’s ever had. My record speaks for itself,” he told reporters at city hall.